Do you already work, or want to work, in hospitals where you are expected to professionally communicate with English-speaking patients when English is not your first language? This was the situation faced by English for Nurses director, Sabine Torgler, when she moved to the UK from her native Germany 11 years ago. What she found was a hospital culture very different to the one she had experienced in her home country, where much of the medical terminology was confusing and it was often difficult to diagnose patients because of communication difficulties. Sabine was determined to help other nurses in the same situation and this is where English for Nurses comes in. 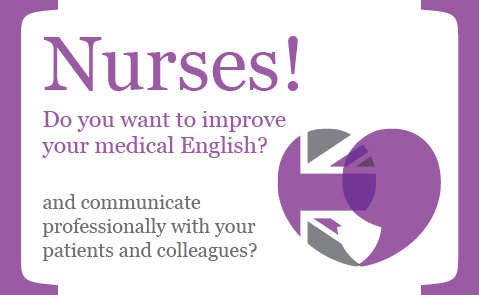 EfN’s courses give you the confidence to better deal with English-speaking patients and colleagues on the wards. They aid your professional development and enable you to become a more productive member of staff. You will even enjoy your job more!